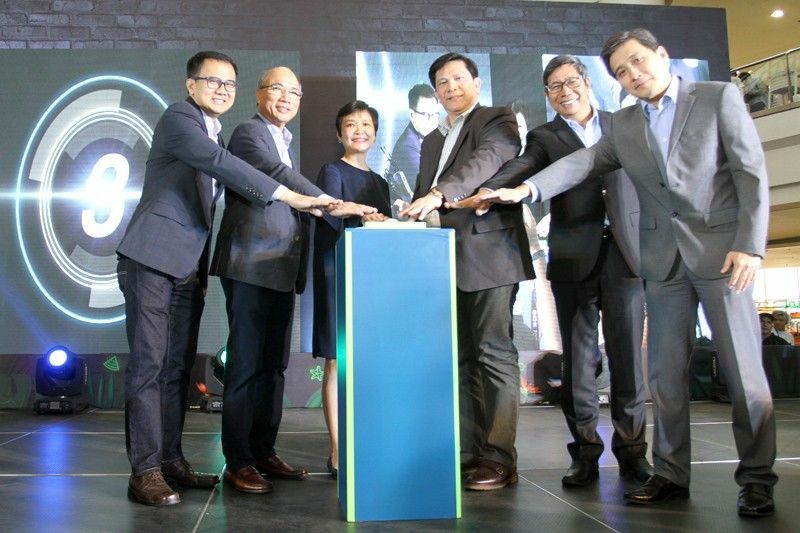 Leading the launch of PayMay QR at Robinsons Department Stores and Robinsons Retail brands are (from left) Vic Tria, FVP and head of PLDT Alpha; Orlando Vea, CEO and president, Voyager Innovations and PayMaya Philippines; Robina Gokongwei-Pe, Robinsons Retail Holdings Inc. president and COO; Alex Caeg, Smart and PLDT Consumer Development head; Jody Gadia, Robinsons Supermarket Corp. general manager; and Johnson Go, Robinsons Department Store general manager. 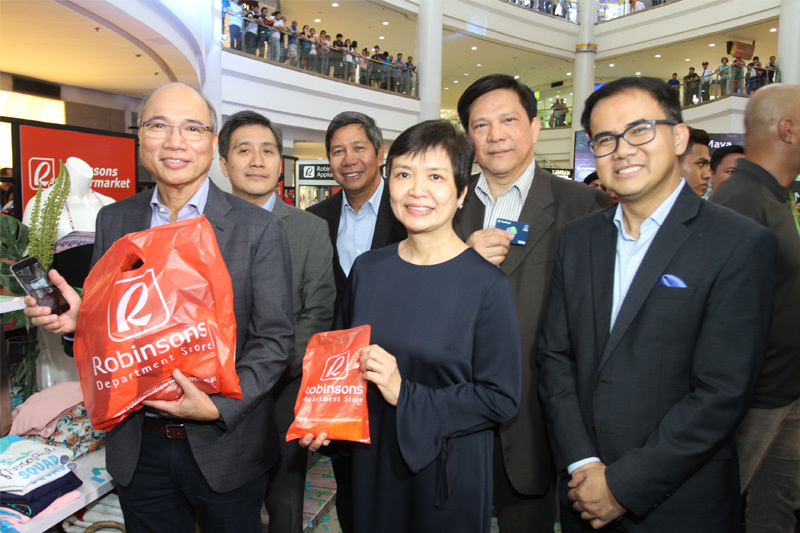 MANILA, Philippines — Shopping for all your fashion, food and retail needs this summer just got a lot more exciting as Robinsons and PayMaya gives up to 30-percent cashback for your purchases. Until June 15, shoppers will enjoy 30-percent cashback (maximum of P500 per store per day) when they pay via PayMaya QR in Robinsons Department Store, Robinsons Appliances, Robinsons Builders, True Value, True Home, Handyman, Toys R Us, Daiso, and brands under Robinsons Store Specialists Inc. such as Topman, Topshop, Topman, Dorothy Perkins, Burton Menswear, Miss Selfridge, Warehouse, and G2000. Additionally, they can also get as much as 20-percent cashback (maximum of P300 per store per day) for their purchases via PayMaya QR in Robinsons Supermarket, Ministop, Southstar Drug, and The Generics Pharmacy. Paying for all your summer finds — from clothes, to toys, and even food and drinks to take on road trips — is made easier with PayMaya QR. All you have to do is download the app on your phone, register using your mobile number, add money through Robinsons Business Center or one of PayMaya’s more than 15,000 touchpoints nationwide, scan the QR code at the counter, enter the amount you need to pay and click “Buy”! To add money to your PayMaya account, simply proceed to the Robinsons Business Center inside Robinsons Department Stores. Additionally, you may add funds to your account via the more than 15,000 touchpoints available nationwide, which include 7-Eleven branches, Touchpay Kiosks, UnionBank ATMs, 2Go, ExpressPay, Cebuana Lhuillier, Palawan Pawnshop branches, Smart Padala centers, RCBC Online and Metrobank Online. Catch more about this exciting promotion by watching its official launch on March 15 at Robinsons Place Manila. To know more about PayMaya and its partnership with Robinsons Retail Holdings, Inc., visit pymy.co/robinsons or follow @PayMayaOfficial on Facebook, Instagram and Twitter.